Arnaud Simon attended the EM Lyon business school and has a Masters in Media Management from ESCP (Paris). He began his career with the Eurosport Group in 1994 and worked as Head of Financial Control before moving to become Director of programming and later of Broadcast. During this time he was involved in the European launch of Eurosport 2 in 2005. 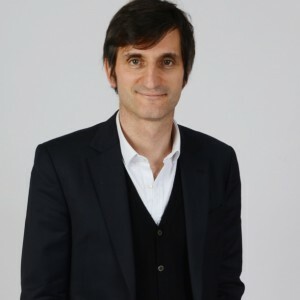 He became Deputy Managing Director for Eurosport France in 2010 and, today, holds the post of Managing Director for Eurosport France and Head of TV content for Eurosport International, Eurosport 2 and Eurosport Asia Pacific. Born in 1968 in France, Arnaud speaks French, English and Spanish. Interested in all sports, he enjoys football in tennis in particular, and used to play the latter at competition level as a junior. Based at head office, Arnaud is responsible for all Eurosport FRANCE SA’s operations as well as TV content for Eurosport International, Eurosport 2 and Eurosport Asia Pacific. Programming includes seven main sports families (cycling, football, motor sports, snooker, summer Olympic games, tennis and winter sports) and is aimed at ensuring that the Eurosport channels are as attractive as possible: for our subscribers; for the brands from an advertising perspective; and in consequence for the distributors. This is driven through relevant added value to live events across all sports, via studio and on-site presentation; exclusive backstage footage; and expert consultants highly reputed in their field.